Mitte, translating to 'middle' is indeed Berlins center and the life force of the city. Here you will find many of the city's most famous tourist attractions, be they historical landmarks, monuments, memorials, shopping districts, museums or galleries. Being home to the vast majority of the city's must-see sights, Mitte really should be your first port of call when visiting Berlin. There is so much to see and do in this city and Mitte is home to a large number of the most unmissable tourist attractions Berlin has to offer. To name a very select few: The Brandenburg Gate, The Reichstag Dome, Berlin TV Tower, The Berlin Wall are all must-see historical sites. In regards to monuments and memorials, the Memorial of the Murdered Jews of Europe and Bebelplatz burning of the books memorial shouldn't be missed. Museum Island is home to a number of Berlins best museums and there are countless art galleries in Mitte due to an influx of artists moving here after the fall of the wall. Being such a tourist-dense area, you can occasionally fall into the trap of paying too much for inferior quality food at some restaurants in Mitte. This is however, happily, not all that common as the district is still home to some of the city's best restaurants and cafes. For a delicious homemade and organic bite for breakfast, lunch or a snack, pop into The Barn. Looking for a German dining experience? Give Wienbar Rutz a go for a modern, sophisticated twist on traditional German fare. Mitte has no shortage of restaurants and provided you use your head and try to find places slightly off the beaten track of tourist hotspots, you wont be disappointed. Unfortunately, much like with restaurants, there are a few places that take advantage of their location in Mitte and overcharge for cover and drinks (luckily, in this city, even when things are overpriced they're generally still comparatively reasonable). This aside, there is no shortage of options when it comes to nightlife in Berlin and Mitte contains a few of the city's best dance clubs, including Weekend, a club located in Alexanderplatz on the top storeys of an old office block, providing incredible panoramic views over the city. After something a little more tame? You wont have any trouble finding stylish cocktail and wine bars OR grungy, shabby-chic bars for a few casual drinks in the area. 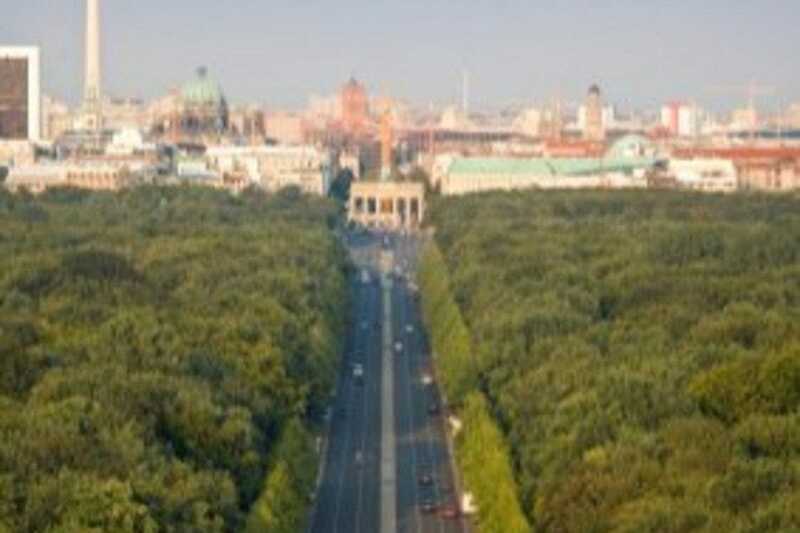 Being the tourist hub of the city, Mitte is where you'll find majority of people choose to stay when visiting Berlin. Because of this, the options for hotels and accommodation are unlimited. Given the idyllic location, most hotels are in the range of 3-star or above but there are still options to cover all budget types. Located right outside the Brandenburg Gate in Pariser Platz is The Adlon Hotel, made famous when Michael Jackson dangled his baby out of one of their windows but also known for being Berlins most expensive 5 star hotel. For more budget friendly options, almost all of the big, chain hotels are located in Mitte often offering great deals on prices. If hours of shopping are what you're after, Mitte will not disappoint. The district contains a number of Berlins best shopping locations for everything from high-end fashion houses to your everyday brands. Friedrichstrasse is quite possibly Berlins most famous shopping strip. The lengthy street hosts a number of stores ranging from brands like H&M and Zara, Ralph Lauren and Lacoste, all the way up to Gucci and Louis Vuitton. There is also a Galeries Lafayette on the strip. Alexanderplatz is brimming with stores all over the place, including a large shopping mall with all the usual brands. Hackescher Markt is a great option for avoiding the same brands and mall atmosphere. The area is filled with boutiques belonging to Berlin-based designers as well as your slightly less mainstream brand stores.